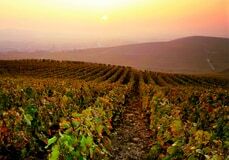 Usually you’d pay over £1500 to stay at the top 5* Chateau in the Champagne region (check out our Exclusive Reims break! ), but we’re offering a unique one-off package to experience the highest level of luxury, for just £975 per person this August! Upon arrival in Reims, check into your preferred room grade at the opulent 5* Chateau les Crayeres, a grand hotel located just on the outskirts of Reims boasting stunning gardens and a double Michelin starred restaurant! The remainder of the day and evening will be free for you to do as you please. You may wish to relax and enjoy the hotel’s facilities. Alternatively, you may prefer to wander into Reims, and across the city centre, exploring the excellent range of shops and boutiques. In your travel pack will be a comprehensive list of recommended restaurants, and we would be pleased to reserve you a table at any of these for dinner if required. After breakfast, wander across the road to the prestigious estate of Champagne Pommery. Here, you will enjoy a tour of the impressive 1600 year-old Gallo-Roman chalk cellars. Whilst wandering through the eleven miles of tunnels and galleries, home to more than twenty million Champagne bottles, you will learn all about the Champagne industry and the particularities of this prestigious producer. The tour will conclude with two tastings of Pommery Champagnes. After the tour, you will be met by a private chauffeured vehicle, which will accompany you throughout your afternoon of discovery of Champagne and its vineyards. You will be taken to the famous hilltop village of Hautvillers, the “cradle of Champagne.” As well as having time to admire the spectacular views across the vineyards and visit the Church where Dom Pérignon is buried, a comparative tasting session of three single varietal Champagnes will take place in a quaint tasting boutique in the village. Platters of cheeses and gourmet local delicacies will also be served. Afterwards, you will be driven out into the stunning surrounding vineyards for a visit at a small, family-run Champagne House, for a full tour of the fascinating Champagne making process from press to bottle, followed by at least three tastings of the Maison’s Champagnes. You will be dropped back at your hotel at the end of the day, in time to freshen up before dinner. 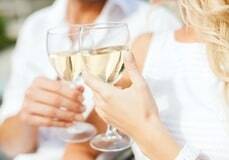 In the evening, a delicious three course dinner will be served in the hotel’s gourmet ‘Le Jardin’ brasserie; your meal will be accompanied by a Champagne aperitif, two glasses of wine, water and coffee. After a leisurely breakfast, check out of your hotel and at your own pace commence your return journey. Before leaving the region, you may wish to take the time to explore Reims, the city of Kings and the gateway to Champagne. Reims is home to no less than three UNESCO world heritage sites including one of the finest gothic cathedrals in northern Europe where 25 Kings of France were crowned. 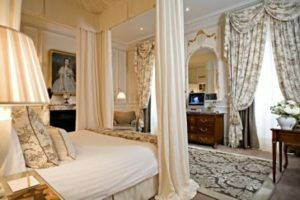 The total price of this package, based on 2 people sharing a double/twin room at 5* Chateau les Crayeres is dependent on the room grade chosen. The package includes 2 nights’ bed and breakfast accommodation, a private chauffeured vehicle for half a day, tours and tastings at 2 Champagne Houses, a tasting session with light lunch, and a 3 course dinner with drinks. Valid for travel from Sundays to Fridays in August only.